In addition to its many varied white water rafting trips, Holiday River Expeditions has a six-day kayaking workshop. This kayaking workshop is spent in Desolation Canyon in August. You first meet at Green River, Utah to embark on your trip. This kayaking school is not for the faint of heart; you should be in excellent physical shape as well as be an expert white water rafter. However, prior kayaking experience is not a requirement. Kayaking differs from white water rafting in that you have a single-person or double-person kayak while an oar raft can accommodate up to six people and a paddle raft can hold up to eight people. 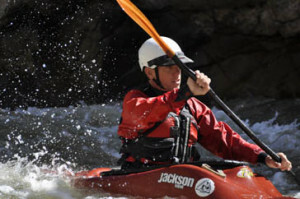 Kayaking requires far more self-reliance, while white water rafting requires working with others or relying on a guide. Kayaks can maneuver more quickly than a raft because they are smaller and because of their shape. Kayaks have a narrow pointed shape while rafts are wider and rounder. Kayaks are easy to capsize and difficult to balance. White water rafting prepares you in part for kayaking, but Holiday River Expeditions’ kayaking school will help you become a proficient kayaker. This six-day kayaking workshop is led by Karan Estee and her partner who provide all kayaking equipment. Before starting the workshop, it is recommended that you take a swimming pool kayaking course at a university to speed up your learning curve during the workshop. While kayaking equipment is provided as well as life jackets, a waterproof bag, a day bag, and full course meals, you must bring your own clothing, sleeping bag, and tent. 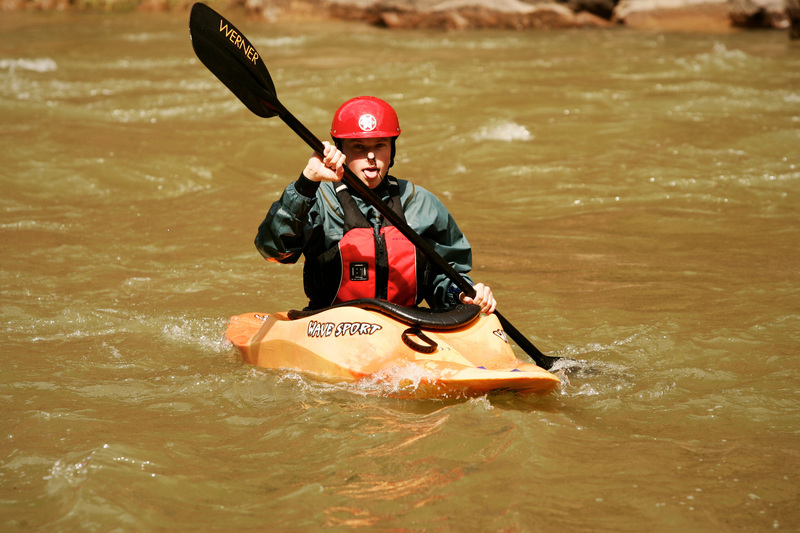 At rafting Colorado a full checklist of gear provided and required can be found. On day one of your workshop you will become familiar with the kayaking equipment and learn some basics such as entering and exiting the kayak. On day two, training will become more complex as you learn sculling, how to ferry across the river, and how to roll. The next three days will cover the same material learned in day two but in greater detail. On day six, you will have achieved enough proficiency to play in the rapids and workshop material will be reviewed. Expect to see glorious canyons and mountains during your kayaking excursion. In addition, several short hikes are available so you can explore the area further. And of course, be prepared to see plenty of rapids! To participate in the workshop, you must be a minimum of sixteen years of age and should have had plenty of experience on white water rafting tours, hopefully with Holiday River Expeditions. This six-day kayaking adventure costs $1,285 and includes all meals. 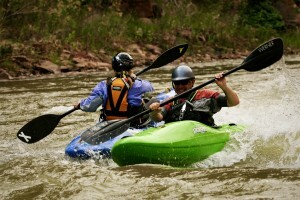 The kayaking workshop provides an excellent further adventure in exploring white water rapids. Enhance your knowledge gained from prior white water river rafting experiences by taking the workshop. Learn new skills while having a thrilling good time. 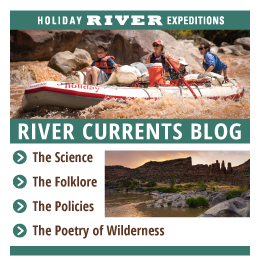 Remember that Holiday River Expeditions also offers a wide array of white water rafting trips for your family and friends who want to experience river rafting but may not have the expert skill level that you possess.